Today I worked on the table base and skirt. 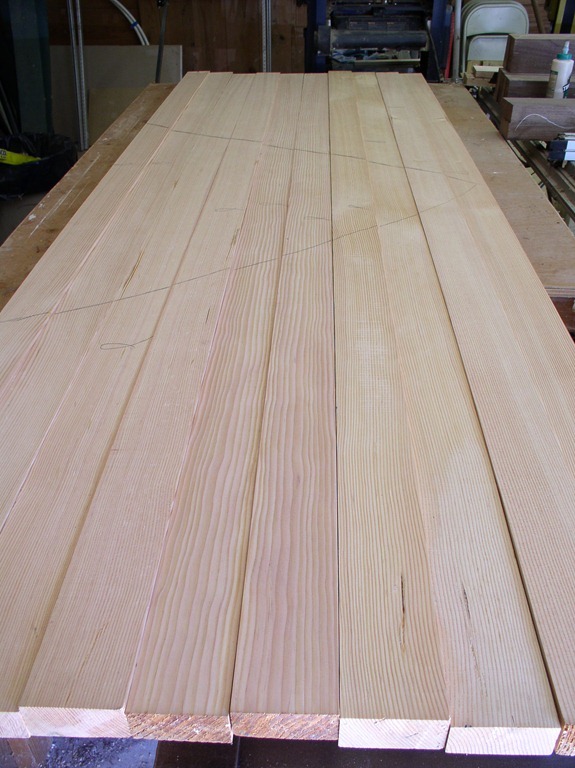 The first job was to cut all the peg holes, and mortises in the legs. Since the table legs have 1/2 of taper across their length, I needed a spacer of the right height to make the center axis parallel to the mortiser table. I also used a bit of cutoff material to even out the clamping pressure on the front clamp face. Second, I setup the indexing pin on the end of the table to allow each leg to be inserted into the table exactly the same. Finally, I setup the depth of the mortiser following my layout lines on the first leg, and set the depth stops. Then it was time to go to town! Pretty simple really. Except for the sheer size of the thing. My shop floor is the only space I have large and flat enough to glue a 41″ x 98″ table-top. My workbench is almost 9′ long, but it is “only” 36 inches wide, which includes the tool-tray on the back. The tool tray isn’t exactly flat with the main work surface. So, I don’t include it as part of the “flat surface” needed for glue-ups. Latest update on the table. Ran all the table top planks through the jointer to remove the glue and smooth it all out. Looks nice! 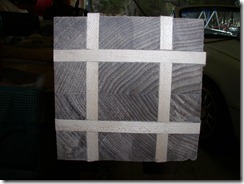 Today I finished planing the legs square, and cutting the grooves for the feet. 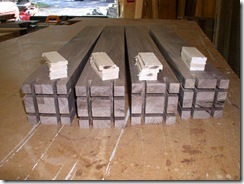 The feet will be The small pieces of maple that you see on top of each leg. 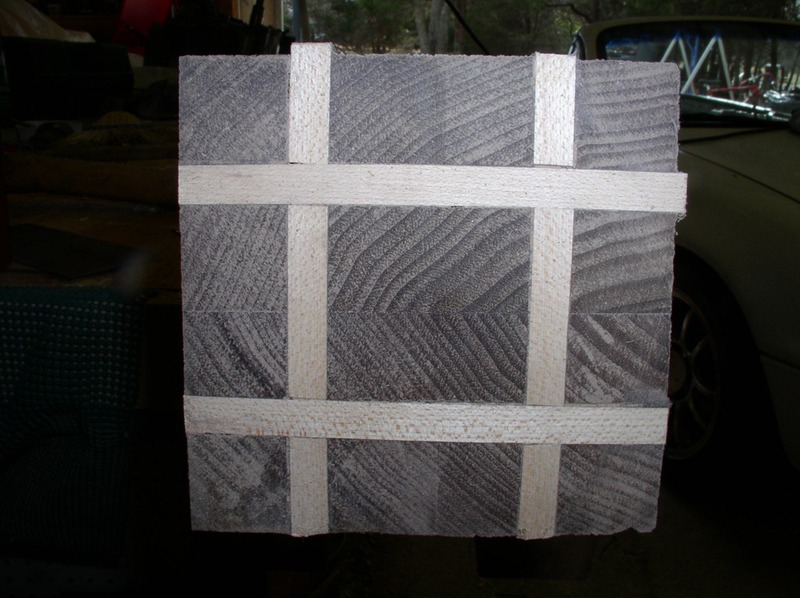 The pieces will be cut to form an interlocking “tick-tack-toe” pattern that will help to stabilize the feet in an outdoor environment. 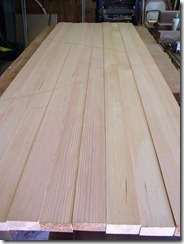 Once the feet are installed they will be planed flush during the leg tapering operations. I cut the slots in the feet on the tablesaw. I simply set the fence, the blade height, and stood the legs up and ran them through the blade once on each side. Then I reset the fence and ran them through again. Then a little chisel work to clean up the slot. Today my Dad came over and we spent a few hours working Mom’s table. We decided to begin the process of assembling the top. The top is going to be made out of quarter sawn fir with a walnut frame. 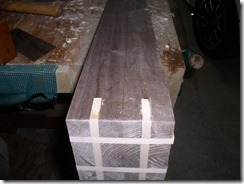 The outside planks are walnut, as well as the breadboard ends. 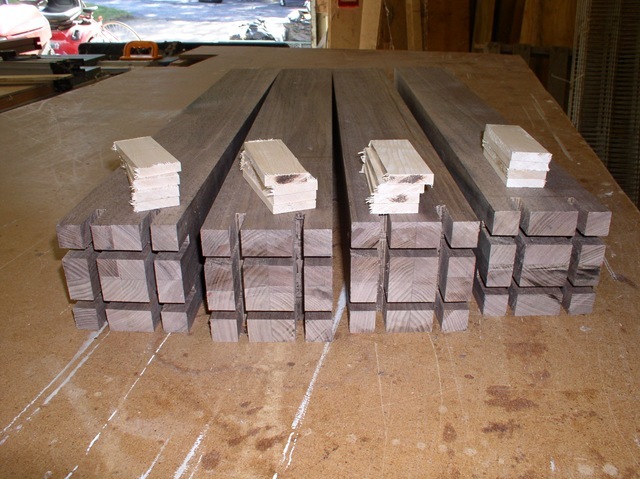 The fir planks are made from resawn and bookmatched 4×4 fence posts carefully chosen from the local Box Store. They’ve been sitting and drying in my shop all summer. So, here’s the table-leg prototype. It is tapered from 3 3/4” to 2 1/2” or so. I cut the tapers using the jointer, this my favorite way to cut tapers. I should have taken some pictures of the process…but, these were all taken after the fact.